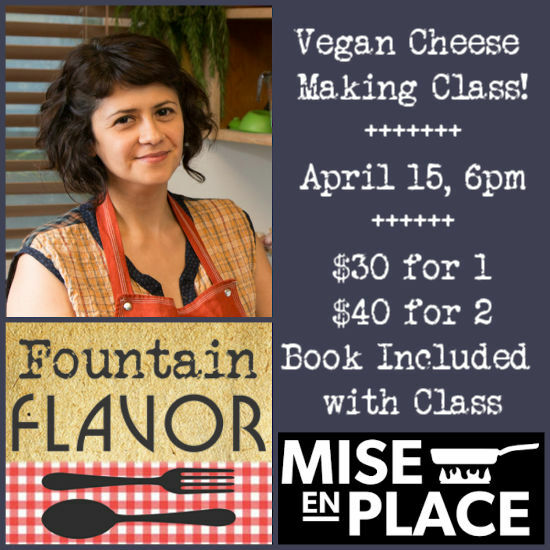 One-Hour Dairy Free Cheese Class with Claudia Lucero | Fountain Bookstore, Inc.
Join us for a demonstration class and tasting at Mise En Place Cooking School with cheese expert Claudia Lucero! A copy of One-Hour Dairy Free Cheese is included in your ticket. Copies of One-Hour Cheese will also be available for sale at the event. Claudia Lucero is the entrepreneur behind UrbanCheesecraft.com and DIY Cheese Kits, which she sells through Etsy, specialty food shops, and select Whole Foods stores. She also developed the home cheesemaking kits for Williams-Sonoma's Agrarian product line. She lives in Portland, Oregon. 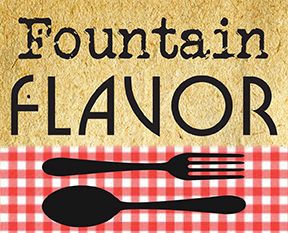 This is a Fountain Flavor Event!